Of all societies that exist within the world there is none that is perhaps as mysterious and intriguing as that of the fraternal organization of the Freemasons. Shrouded in claims of sacrifice, secret plots to run the United States and tales of mystery there is something about this organization that elevates those within it to higher levels and leaves those outside it wanting to know more. Who or what is this organization really? Where did they come from? What are the origins of the tales of mystery that surround this not-so-secret society? As with most aspects of the fraternal organization of the Freemasons even the origin of this society is debated. What is known about the beginning of this organization is that in 1390 the first known Masonic text was written. This text, known as the “Regius Manuscript” is a poem and the oldest piece of Freemasonic literature that is known to date. The Freemasons are a worldwide organization as the 16th century saw the existence of Masonic lodges in Scotland and in 1717 England saw the establishment of their first Masonic lodge, or “Grand Lodge of England.” Uniquely in England, the Grand Lodge was considered by some to be too modern for their tastes and they went on to found their own lodge which they named the “Ancient Grand Lodge of England.” These two English lodges were considered to be rivals until 1813 when they finally came together to establish the “United Grand Lodge of England.” Ireland was not to be left out of Freemasonry, however, and in 1725 Ireland saw the development of the Grand Lodge of Ireland. By the 1730’s the Freemasons could be found within the United States as a result of migrating from England; however, due to the fact that the migration occurred before the merging of the two Masonic factions, the United States saw the arrival of both the “Grand Lodge” and the “Ancient Grand Lodge” in addition to the Scottish and Irish lodges. The Freemasons thrived within the United States and after the American Revolution the Freemason fraternity began to reach its fingers throughout the states until each state had its own Freemasonry established. One of the first well-known Freemasons within the United States Masonic factions was George Washington. A unique factor in the establishment of the Freemasons within the United States; however, is that while both factions of the English Freemasons were eventually consolidated in England, to this day they still remain fragmented within the United States. What began as the “Grand Lodge of England” became the “Free and Accepted Masons” or the F & A.M. What began as the “Ancient Grand Lodge of England” became the “Ancient Free and Accepted Masons” or the A.F & A.M.
Where the Freemasons spread their Masonic lodges throughout the world they have basic regulations that are required of each lodge and as France soon found out, deviation from these regulations result in a cutting of ties. 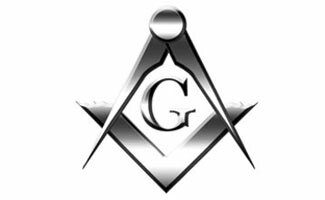 In 1877 when the Grand Orient de France decided to allow members to join the lodge without a religious belief in a deity of some sort the Freemasons decided that this was an insult to their basic foundation and cut ties completely with the French institution. There is currently only one single lodge in France that is still tied in to the English-speaking Freemasons groups worldwide and that is the Grande Loge Nationale Francaise. The division between the Grand Orient de France and the United Grand Lodge of England can still be observed throughout Europe today as the two establishments still exist. Europe is divided among the two variations of the Masonic lodges with most of the Latin based countries subscribing to the Grand Orient de France style of Freemasonry. Even in those countries that subscribe to the Grand Orient de France style of Freemasonry there are the more conservative Grand Lodges in existence as well. When it comes to the predominant faction of the Freemasons throughout Europe overall, however, the majority of lodges subscribe to the beliefs of the United Grand Lodge of England. Within all factions of the Freemasons each individual lodge governs itself, at one time it was suggested that there be a single governing body of all lodges with George Washington as its leader; however, this idea was quickly shot down when Freemasons realized that they would have to relinquish some of their own power to this ruling entity. The only thing that particularly rules the Freemason lodges as a whole is prescribing to the same doctrine and recognizing each other as legitimate or “regular” lodges. For a Freemason it is important that they attend a “regular” lodge and if word gets out that a Mason has attended an “irregular” lodge or one that is not recognized by their lodge as being “regular” they can be suspended or expelled from the fraternity. This rule is in place in order to prevent Freemasons from visiting lodges or orients that are of the opposing branch of Freemasonry. Each Masonic lodge maintains a list of regular lodges and members in order to keep track of those who disobey the rules of their branch of Freemasonry. Each lodge also has a charter to allow them to act as a part of the Freemasons which is granted by the Grand Lodge. In order to act as an official Freemason group each lodge must not only display their charter but they must also hold regular meetings which have published dates that all members of the lodge are aware of. Like many official organizations the Masons must act as a single unit with members electing officials to serve as officers, to keep official records and minutes of meetings and manage its own assets and property locations. While most lodges all meet to organize a wide variety of factors affecting the division of assets etc. belonging to their lodge, the way in which assets are divided and managed differs from lodge to lodge. Within the Freemasons there are three degrees of Craft which indicate how far along the process of learning Freemasonry an individual member is. The first degree of membership is the “Entered Apprentice” someone who is just being initiated in to the Freemason group. The second degree is the “Fellow Craft” someone who is involved with the learning process that is required of them in order to be a full-blown Freemason. The third degree is the “Master Mason” who is a Freemason who has been sponsored and accepted in to a lodge. Someone must be a Master Mason in order to take part in most of the rituals and meetings that take place in a Freemason lodge. One must believe in some type of Supreme Being. One must be of legal age. One must be a man who was born free, has a good reputation and comes well recommended to the lodge. One must be able to support themselves and their family. One must choose Freemasonry of their own free will and not be coerced in to it by others. Learn more about Becoming A Freemason. Of these conditions a few may stand out to modern-day critics, namely the need to be male and the need to be a freeborn. Being freeborn obviously is not as much of a consideration these days, at least in most developed countries due to the abolition of slavery; however being a male is still a necessary factor in becoming a recognized Freemason. Since the Freemasons began they were a male based organization and while certain things in society have changed deeming rules such as “being a freeman” easy to skirt, nothing has changed in regards to the definition of the word “man.” By duty, all Freemasons are sworn to their lodge’s regulations and in such they agree that they shall be a male based fraternity. Many women believe that this rule is unfair and sexist, yet the concept really has nothing to do with being a woman or being a man in today’s society, it has more to do with keeping with the tradition of being Freemasons and abiding by the ancient rules and regulations of the fraternity. Some associations claim that they will allow women in to their fraternity; however, none of the officially recognized Freemason lodges allow female members as a matter of principle. Freemasonry is a fraternity that was founded on abiding by strictly set out rules and for members of a lodge to do this they must deny membership to women. For many people becoming a member of a Masonic lodge is as simple as deciding that they want to pursue becoming a Freemason and asking a friend who is already a Freemason to lead their way. For those who do not already know a Freemason; however, the contact with a local lodge can be a little intimidating. The best point of contact when looking to join a local Masonic lodge in the United States is to contact that lodge to inquire with any questions that you may have, in this case you will generally speak with someone who will refer you to the Master of the lodge in question who will be able to provide you with answers to all of your questions. It is important to remember that Freemasons are not as modern as other businesses in current society and contacting someone to find out the things that you wish to know can take time. It is important to remain patient since Freemasons are also working men with families at home who run in to everyday situations that also need their attention. If you are unable to locate a lodge locally to you, can contact the Grand Lodge in order to find out where the closest local lodge to you is located. After making contact with a local Freemason lodge the process of becoming a member will be explained and depending upon each jurisdiction this process and what it entails will differ. Due to the fact that each lodge runs itself it is up to the members of the lodge to determine the requirements for joining their lodge as far as age limitations, length of residence in the area and how long the person has been known by their referral to the lodge. Each applicant to the Freemasons must have a sponsor who is willing to attest to their character, for people who were referred to the lodge by a fraternity brother they are usually sponsored by that person, for those who are not, a sponsor is usually chosen. After being appropriately assessed by a sponsor an applicant is deemed worthy or unworthy for the brotherhood, if they are approved they are given a petition to complete in order to begin the initiation process. After an application is submitted along with the requested fee from the Freemasons the petition of the petitioning member will be read to the lodge at the next meeting and a committee will be appointed to “investigate” the new applicant. The investigating committee meets up with the applicant to get to know the applicant on a more personal level. The most important thing for the applicant to remember during this meeting is to dress and act like themselves in order to give the committee an accurate picture of who they are and what their life is normally like. The results of the investigating committees meeting is submitted back to the lodge and from there the lodge submits a ballot on whether or not they wish for the new member to become a member of the lodge, the decision to allow a new member must be unanimous. The fraternity of the Freemasons is an organization which seems to be shrouded in secrecy and smoke and mirrors; however, in modern society there is very little to the legends of what really goes on in order to become a member of this ancient fraternity. Certainly there is a rich history behind this organization which has produced some powerful figures and unbreakable bonds and there may be a few skeletons in the closet but what solid organization does not have these things? Yes, there are stories floating around of rituals and sacrifices; however, these elements are not indicative of what the Freemasons are about. What causes such stories to arise? Any institution that is founded with a degree of secrecy and elite membership is going to stir up controversy among those who have not been privy to the goings on behind closed doors. Rather than be able to know what goes on inside meetings, instead outsiders assume that these “secret meetings” involve taboo or illegal activities. It should be noted that numerous stories of rituals and sacrifices that have surfaced have been posed to established Freemason brothers and have subsequently been denied; however, for those who buy in to the conspiracy theories there is seldom an explanation that would suffice. So Who Are the Freemasons? The Freemasons began from a group of European stonemasons who would gather together to talk, eat and meet with one another after their work day was through. Gathering in a lodge offered the manual laborers an opportunity for companionship as well as shelter. Lodges began as the place where the stonemasons lay their stones, locations that were quiet and isolated in privacy and soon they moved to local taverns with private backrooms until finally lodges began to build their own properties to guarantee privacy and allow for the practicing of traditional rituals during meetings without the threat of interruption. As times moved onwards those who became Freemasons were no longer always stonemasons and the concept of the Freemasons became one of a group of men with shared or common interests who gather together to share those interests in a fraternity. While many lodges no longer require that strict common bonds be held, such as each member having the same occupation, other lodges do hold these common bonds to be important and as such these groups are limited in membership to those who share similar occupations. One thing that all Freemasons hold in common; however, is an interest in their community as each Masonic lodge has an interest in community service and charitable work. As Freemasons come together to raise money for charities or pull together for the local community they are not only able to give back to their society but they are also able to maintain a finger in the pot when it comes to making community related decisions. The Freemasons are frequently looked down upon for their “finger in every pot” as far as their community activity goes and conspiracy theorists claim that this is to ensure that they maintain control of local government. Rather than looking at the Freemasons as a controlling organization that is selfishly out to benefit in any way that they can, people rarely stop to consider that the Freemasons are a group of men who come together in brotherhood to bond over communal events. It is a well-known fact that Illuminati consist of Multi Millionaires, Billionaires who have major influence regarding most global affairs, including the planning of a New World Order. Many world leaders, Presidents, Prime Ministers, royalty and senior executives of major Fortune 500 companies are members of Illuminati. Join a secret cabal of mysterious forces and become rich with boundless measures of wealth in your company or any given business,the great Illuminati can make everything possible. Searching for free masons in Bali, Indonesia. Can anyone help please? Thank you, Renny. As a Freemason who regularly reads on-line postings about the fraternity I was pleasantly surprised by your grasp on the subject matter and fair treatment of it. So good work! I have witness how bonded there brotherhood is, when they help…they truly help without reservations. They are good people in the society…so proud of them.